The problem we are truly trying to solve is 24/7 coordinated out-of-hospital care. 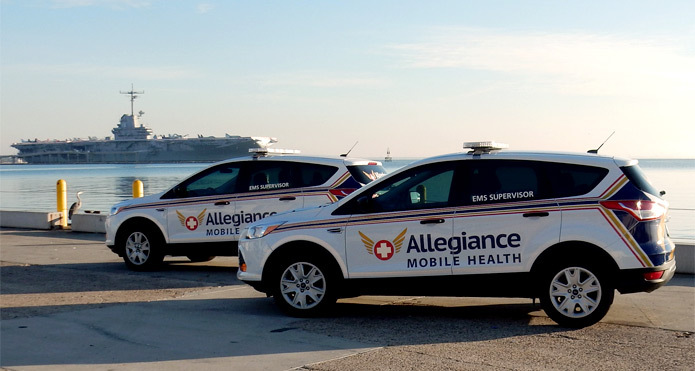 This means finding alternatives to the routine of EMS simply taking a patient to the hospital emergency departments (EDs) despite the fact an alternative destination or even in-home care might be a better option for the patient’s needs and provide an enhanced outcome. Post-Acute Care - Transition of the patient from the hospital to the home, reconnection with primary care physicians, medication access and family education, including a bridge either in the home or via our call centers for the immediate period post discharge to allow for a systematic transition to other home care providers. Managed Care - Reduce the frequency patients call 911, especially those patients who call several times a day, through needs assessment, medication access, on-site treatment and opportunities for transport to alternative destinations, such as urgent care centers, detoxification centers, primary care physician offices and counseling centers. Interventional Visits - Risk reduction and improved patient safety through home monitoring of patients who might otherwise may need to be admitted to the hospital. Hospital Readmission Reduction - Lower the rate patients who have been recently discharged from the hospital need to return to the hospital by offering a specific process combing on-site visits using checklists proven to reduce readmission rates, telephonic monitoring, and specialized hotlines. Hospice Revocation Avoidance - Extending the scope of support available to in-home hospice patients through partnerships with hospice providers allowing the ability for in-home crisis intervention to determine the need for 911 calls for an on-scene response by hospice staff. Patient Navigation and Tracking - Focus on patient-centered navigation and tracking utilizing our call center and partnerships with hospitals and skilled nursing facilities by integrating existing infrastructure and bringing care to patients through technology and communications. Mental health intervention - Crisis intervention that provides alternatives to arrest or use-of-force while reducing 911 calls.